Final Car Show! Trunk or Treat Style! We only have one car show left this year and we are going out in style! We will be doing a trunk or treat event combined with our classic cruise in on October 23rd. 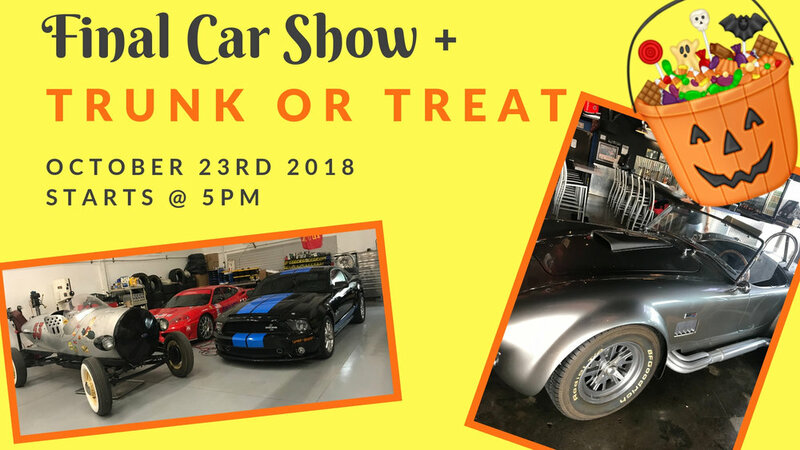 The show starts at 5pm so be sure to bring down the family for a fun evening filled with fun cars and awesome treats!